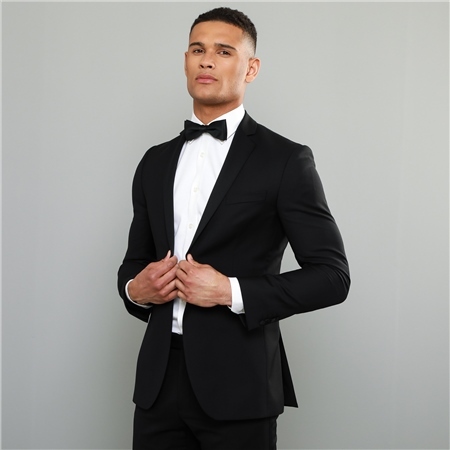 A contemporary styling black shawl collar 2 piece dinner suit in tailored fit. Complete the outfit with a classic double cuff shirt and bow tie. Perfect for any formal occasion.